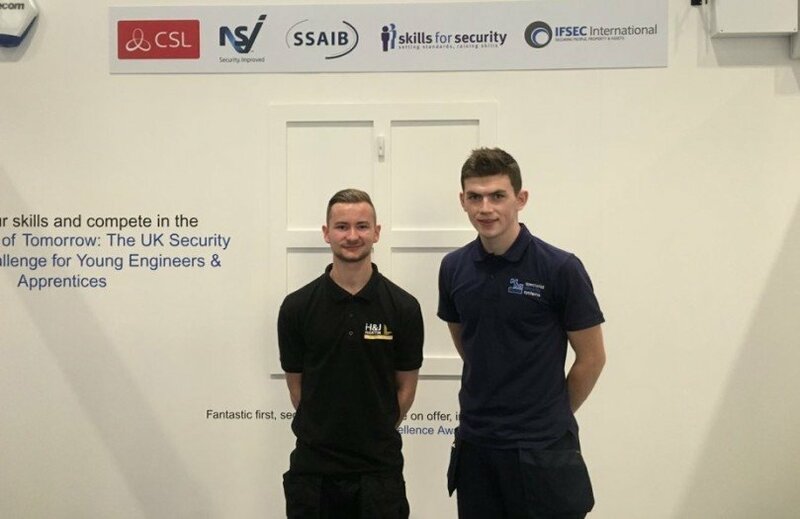 Apprentice security installer Padraig Lennon won his heat at IFSEC International 2015’s Engineers of Tomorrow competition. 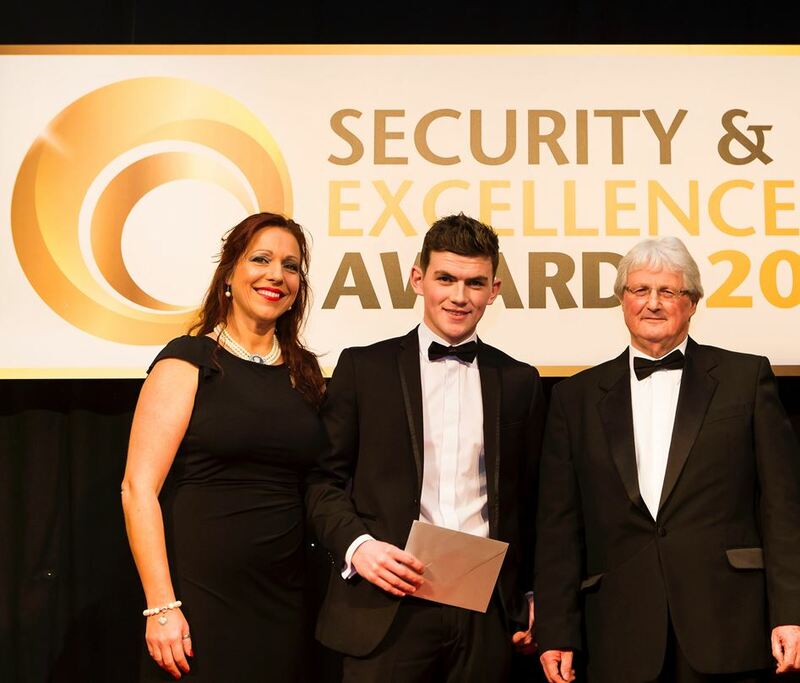 Lennon, who went on to claim third place when the winners were announced at the Fire and Security Awards, works for County Down-based firm NM Fire & Security. Operating throughout Northern Ireland, NM Fire & Security is an NSI-accredited installer of CCTV, access control, intruder alarms, fire alarms and automatic gates. 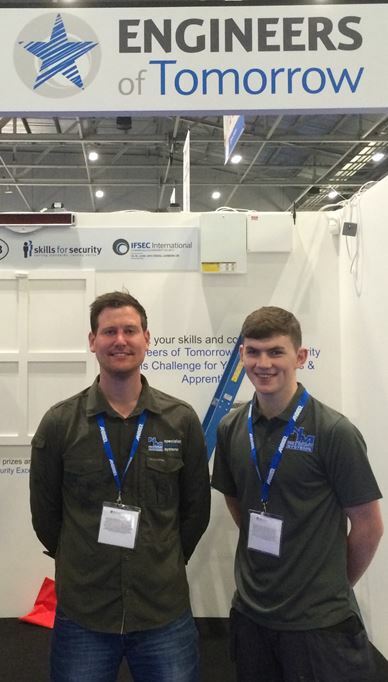 IFSEC Global: How is your apprenticeship going? Is it an effective way to get into the security industry in your experience and why? Padraig Lennon: My apprenticeship is going very well. It is a good way to get into the security industry because you are getting the hands-on experience and getting the academic side, getting to learn the different standards, then putting these to good use when working on site. IG: What does your role at the company include? What kind of systems are you installing etc? PL: At the minute I’m a junior engineer. Every day there is something different. I’m getting to work in teams and also on my own. My work varies between install, maintenance and fault calls. I work with a variety of different panels, day in day out, from the likes of Galaxy, Risco and Pyronix. Throughout my apprenticeship my company has let me work as a multi-disciplined engineer, which has given me the chance to work with intruder alarms, CCTV, access control, fire alarms and gate automation. This has been a major help in my progression throughout my apprenticeship. IG: How do you feel you personally benefitted from the Engineers of Tomorrow competition (could be in terms of confidence, career, skills etc)? PL: The Engineers of Tomorrow competition benefitted me in terms of gaining experience at such a high level show as IFSEC. It was like a real-life scenario, so this has helped me in my day-to-day job on site, going through specifications and making sure things are going to be installed in accordance to the correct standards. It has given me the communication skills also to cooperate with different people when on site and helped me in the early stages of my career. IG: What advice would you give to entrants for the 2017 competition? PL: I would tell them to control any nerves they may have, take the whole experience on board and enjoy such a major event in the security industry. Take in all the information provided to you and just do your best. Whatever you do, the Engineers of Tomorrow competition will definitely benefit you in your apprenticeship or your path to becoming a qualified engineer. IG: Where do you see your career in the security industry taking you in five years’ time? PL: In five years’ time I would like to see myself as a senior engineer, constantly trying to better myself by attending different training courses, keeping myself up to date with the forever-evolving security industry. My life as an apprentice security installer: Padraig Lennon, NM Fire & Security Lennon, who works with for NM Fire & Security, answered our questions about the Engineers of Tomorrow competition, his role and his career plans.